Born 1980 in Minsk, Belarus, Damian was accepted to prestigious Minsk College of Music at the age of 6. It was not long until he began performing as an oboe soloist with some of the most renowned orchestras in the country and abroad. Still in his early childhood, Damian became a prizewinner of numerous major international music competitions. His music career took a new turn in 2000 when he relocated to Germany. Following his artistic inquisitiveness he soon immersed himself in underground experimental music scene. His musical education shifted from oboe performance to modern composition and electronic music, that he studied at the Music Academy in Hannover and in Cologne with Prof. Johannes Schoellhorn and Joachim Heintz. As an artist-in-residence Damian worked at such renowned venues as ZKM Center for Art and Media Karlsruhe, ACROE Institute Grenoble, IONIAN University Corfu and STEIM in Amsterdam. He was also the recipient of several prizes and scholarships such as the composition-stipend by the Cultural Affair Department of the Lower Saxony, Szloma Albam Stiftung stipend and the European Culture Program grant. 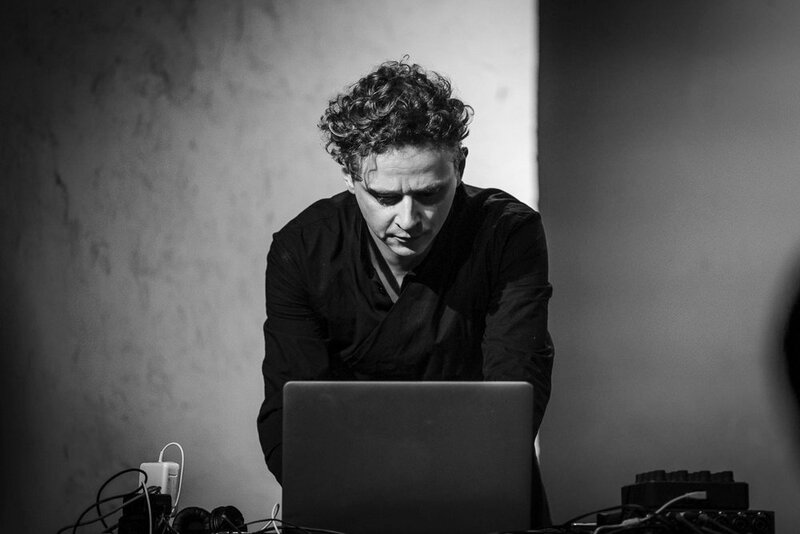 Recent projects of Damian include large-scale stage performances in which he combines acoustic instruments with electronics and visuals. In the last couple of years he collaborated with such renowned musicians as David Krakauer, Frank Bungarten, Szymanowski String Quartet, Murat Coskun, Marina Baranova and many others. Besides from writing concert music as well as music for theatre, film and dance he toured all over Europe and USA, having played his own music at many different music festivals and alternative DJ clubs. For Damian Marhulets, modern philosophy plays an important role both for a personal research and as a source of inspiration. His fascination for works of such cutting edge thinkers as Graham Harman, Quentin Meillassoux, David Roden, Reza Negarestani, Timothy Morton, Nick Land and others helps him to explore new forms of musical expression. He also works on establishing more direct forms of exchange between art, music, modern philosophy and science through personal contact with many word leading thinkers and scientists and curating his own transdisciplinary event series such as “Unfold” or more recent “Brilliant Darkness”. In addition to his personal research Damian Marhulets also teaches composition, electroacoustic music and sound-design at the Music Academy Neue Sterne Hannover and gives workshops on electronic music, audio and visual software (MaxMSP, Ableton, Bitwig, Cinema4D, Houdini, VDMX), modular synthesizers and sound-design. Currently signed with Neue Meister / Berlin Classic Damian brought out two new albums since 2017. Currently he’s working on his first feature length experimental animation film which will be premiered in the first half of 2019.